Branson’s tourism industry enjoys some resiliency during these trying economic times. Quoted in the August 31, 2008 piece are Dan Lennon, V.P. of the Branson Area Lakes Chamber of Commerce, Peter Herschend, Co-founder of Herschend Family Entertainment, which in Branson owns Silver Dollar City, the water park Whitewater, Celebration City, Showboat Branson Belle and various other attractions, and Steve Morse, an economist and director of the Tourism Institute at the University of Tennessee. > The daily hotel rate in Branson is 75% of the national average. > Average show ticket prices in Branson are only 25% of what they are in Las Vegas. Tickets are often times $100+ on Broadway in New York. > In 2006 and 2007, Branson’s visitor numbers grew approximately 14%, compared with 3% nationally. > The City of Branson reports that nearly 60% of Branson visitors originate from outside a radius of 300 miles. 28% come from between 100 and 300 miles and 12% of visitors are defined as local. 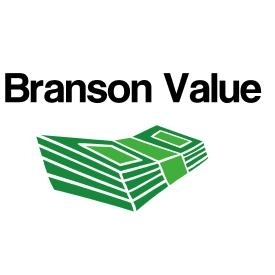 > Branson is on track to hit the projected 3% growth in tourism goal for 2008. I’m glad to hear that Branson hasn’t suffered too much. Branson is a wonderful place for the whole family to take a vacation. The shows are a lot of fun and the shopping is great. Hopefully tourism will be back up next year.